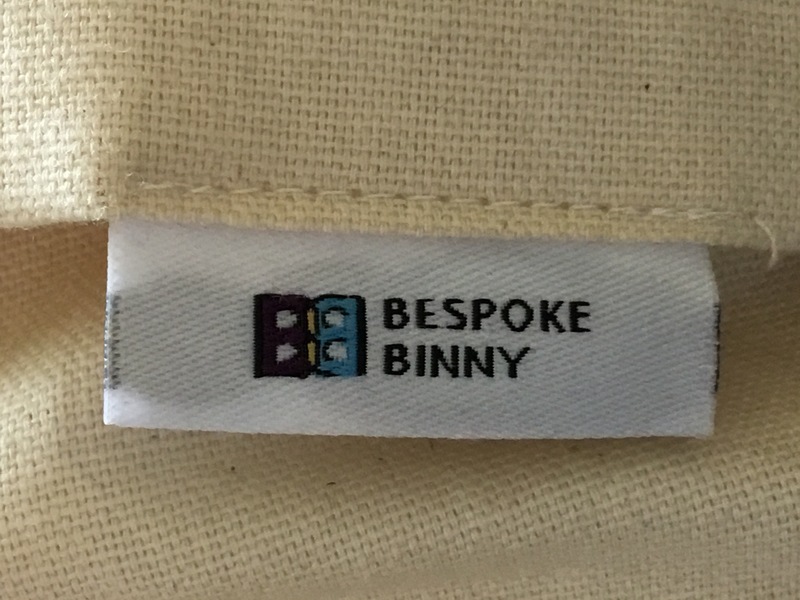 I was given the privilege of review one of the Bespoke Binny cushion covers this week and I LOVE it. 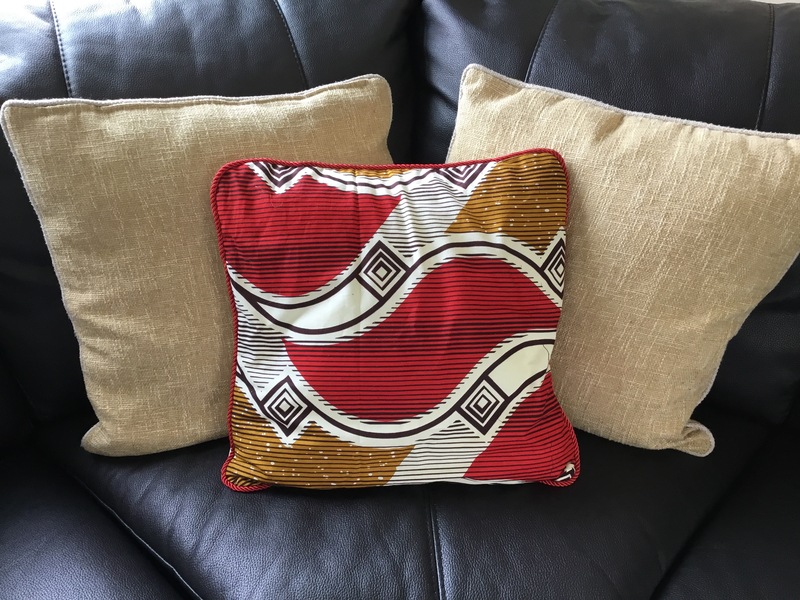 Bespoke Binny want to brighten up your home with their African designed products, and they truely do live up to this. 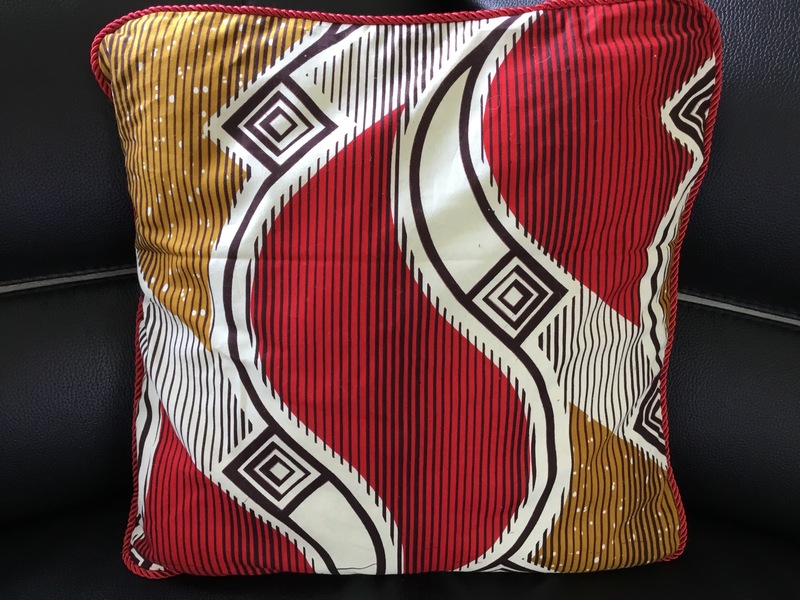 One of the main things I instantly notice is the material, the print is so unique it makes you feel like you have been transported to a little part of Africa, you look at it and you can feel the warmth of a safari and can almost hear the lions roar and zebras munching the grass. It sounds ridiculous,how can a material, a pattern make you feel that but to me it does. The bold warm colours in the pattern and the material just entwine effortlessly together to make this sensation and I love furniture and ornaments that do this. Then you just get the quality. The stitching is strong, I do a good tug test before bringing any new material into the house because of MO. I need robust things in my house and this is robust while being a soft comfortable material! I also look at stitching, if there are any loose threads or end of threads sticking out MO will pick and pull it apart. I’ve gone round the whole cushion cover and couldn’t fault the stitching it is wonderfully made. 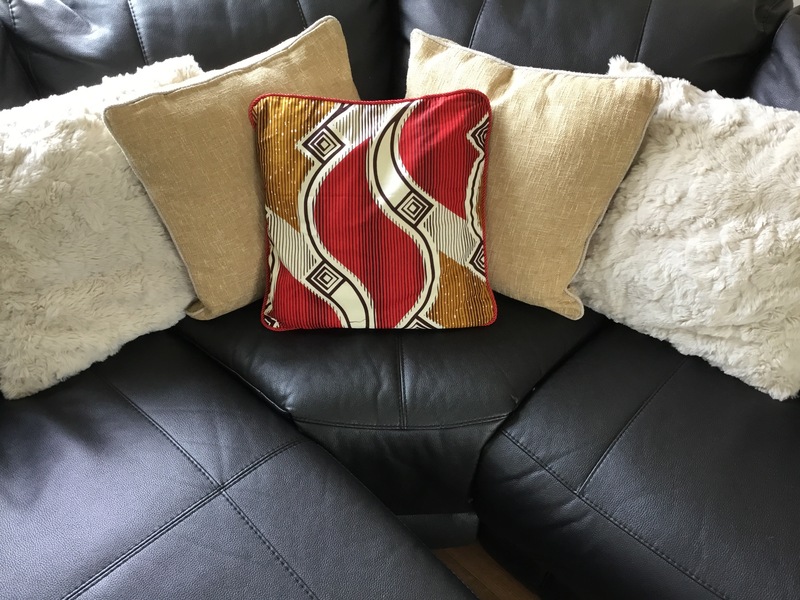 I was a little worried as our front room hasn’t got an African theme and I was worried it would be too bold and stick out, but with all the other cushions it fits in beautifully, it is bold, it is a different style but it is just right for a statement cushion, it sits effortlessly on the sofa and yet people instantly notice it and comment on it. I would 100% recommend this to friends and family and if their other products are up to the same quality, the same designs that transport you to the plains of Africa then what more could you want. With so many patterns and colours there will be something that fits your colour scheme.